Wellington, May 23 NZPA - A review of previous medical research has shown that honey can be an effective treatment for superficial and partial-thickness burns. But the New Zealand Medical Journal reports that more research is urgently required before honey can be regarded as a mainstream treatment for burns. It has published an analysis of the results of eight studies which compared the effectiveness of honey with alternative burn dressing treatments - some of them older remedies such as potato peel or amniotic membranes from a fetus . 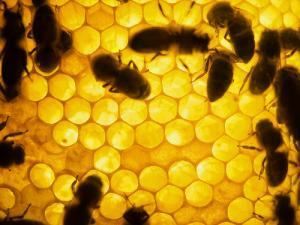 The research, by members of the Medical Research Institute, was funded by a manufacturer of medicinal honey. "Honey used in the treatment of superficial and partial thickness burns produces significantly more healing at 15 and 21 days than alternative dressing treatments," the researchers said. In most studies unprocessed honey covered by sterile gauze was compared with silver sulphadiazine-impregnated gauze. Honey has been shown to have antibacterial properties due to the presence of hydrogen peroxide which is released by the action of peroxidase, an enzyme that is added by bees to the nectar they collect. But some honey, such as some of New Zealand's manuka-based harvest, also contains additional bactericidal agents such as bioflavinoids from the flowers. Some biologically active manuka honey has been shown to have significant antibacterial activity against a few antibiotic-resistant "superbugs". Honey can also form a physical barrier on a wound, preventing bacterial penetration, and providing a moist healing environment, while preventing newly formed tissue from tearing when the dressing is removed.